This fund has been established to honor Benjamin H. Josephson, MD - pediatrician, family practitioner, teacher, mentor and friend. 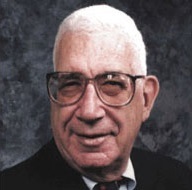 In combining the highest professional standards of health care with his advocacy for the poor, the young and the disenfranchised, Dr. Josephson stood as an example and inspiration to others. As an ongoing commitment to the continuation of his humanitarian work, this fund provides healthcare professionals with the financial resources necessary to deliver medical services to those in need throughout the world.